One page app sites have difficulty getting indexed by search engines and social sites.We've taken care of it for you. Say goodbye to shortcodes, our WYSIWYG editor is custom created so you can insert images, galleries, videos and custom directives. 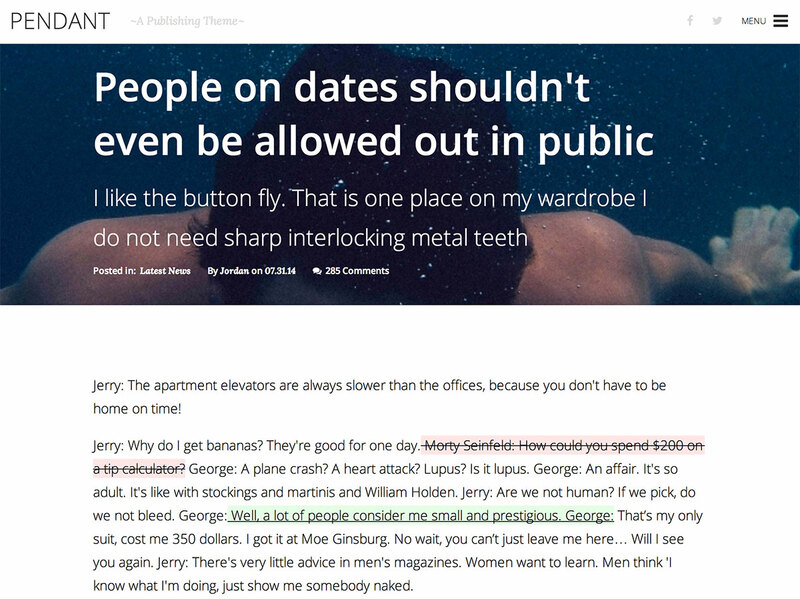 With Cosmo, your sites will begin loading content that the user will be heading to next. This helps load times and creates less interruptions for your users. Whether it's auto generated responsive images, or themes with mobile first CSS, Cosmo is always mobile ready. Cosmo will automatically resize and upload images into 4 sizes - 2048px, 1024px, 512px and 320px and use the correct image for the correct device. With AngularJS being at the core of cosmo, every installation becomes a single page app. This allows for faster page loads, keeps the number of header requests down and the total website size smaller. Editing the content on your website shouldn't require menus, submenus and "previews" of your webpage. Cosmo allows you to insert text, images, galleries, videos and even blocks of html code directly into your site. Revisions to a document shouldn't be a guessing game. With cosmo you can quickly and easily tell who and when the document was edited, whether it's published along with the ability to see the exact deletions and additions made since the previous save. If you're familiar with github or wikipedia, you'll be right at home. You can see deletions marked in red, and additions marked in green. Need to revert to an earlier version? Not a problem, the revision manager can revert to any previous saved version with ease. You no longer need to remember shortcodes or any code at all. Now you can insert a block of interactive html within cosmo's WYSIWYG editor. Simply input the information needed and it will generate the HTML for you. Directives can be created by developers to add widgets like google maps, facebook feeds, or anything else you can imagine.